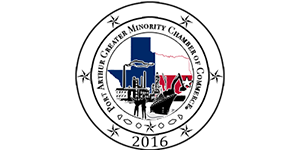 The Port Arthur EDC has an On the Job Training Program available to employers. The purpose of the OJT program is to provide reimbursements at 50% of the wage rate up to a certain amount to employers to compensate for the employer’s extraordinary costs associated with skills upgrade training for new incoming full time employees of the company. 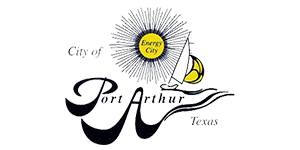 The PAEDC has implemented a community resource partnership to address the lack of soft skills among workers in the community, the Lifeskills & Basic Financial Planning Training program offered to Port Arthur residents. The Lifeskills training program was put in place to improve the quality of life of residents who lack the skills needed to qualify for an on the job training program or lack the skills needed to secure permanent employment in the current labor market. This program is funded by the Port Arthur EDC and currently administered through Jireh World Church and Outreach Ministries. We are currently in the third year of this program and look forward to continue the program into the next three years. The Community Pre-Employment Program (CPEP), was created in an effort to connect talented Port Arthur residents with existing and emerging petrochemical, advanced manufacturing, warehousing, recycling, and information technology companies in the Southeast Texas Region. The goal is to provide a substantial pre-employment experience in Southeast Texas targeted industries with an emphasis on small to mid-size companies. If an employer is willing to allow a person with little to no skills to come on as an employee in a skilled position and provide training to that person, through the Community Pre-Employment Program the PAEDC can offer to reimburse the company for that person’s wages at 100% up to $6,500 per person. 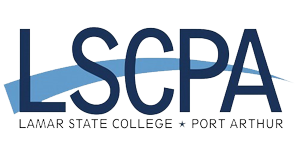 Through the CPEP program, the PAEDC has also been able to partner with Lamar State College Port Arthur in offering tuition grants to Port Arthur residents to obtain training for the CDL Class A and Class B Drivers Certification. Lamar State College Port Arthur, with the assistance of the City of Port Arthur and the Port Arthur Independent School District has created a training course for CDL Class A and Class B Licensing Certification. The EDC has partnered with LSCPA to provide tuition grants for up to 40 Port Arthur residents to receive the Certification training. A strong and vibrant workforce is critical to the success and continued growth of any economy. Workforce availability and skills are among the most significant factors that influence where a company chooses to locate or expand. 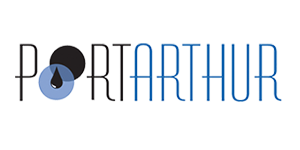 Port Arthur, like many other communities, has taken on the challenge of addressing and offering solutions to the deficit of workers with appropriate technical and soft skills. In those efforts, the PAEDC has implemented several programs as well as partnered with local entities to offer training resources that will benefit both employers and the Port Arthur residents. Currently, in partnership with the Workforce Solutions of Southeast Texas, PAEDC has been able to secure a High Demand Job Training Grant through the State of Texas Workforce Commission shortly after the funding availability was announced by the State. The PAEDC and Workforce have collaborated with a local employer, Team Fabricators, in implementing a High Demand Job training program for advanced welding available to Port Arthur residents. The purpose of the Program is to provide higher level welding training in a paid work experience setting for up to thirty-six (36) individuals over a twelve (12) month period. This project targets three distinct groups of participants; unskilled individuals who exhibit an interest/aptitude with some knowledge of welding, individuals with some welding skills that may be transferrable but are not yet fully competent to pass industry standard tests for employment, and individuals with advanced welding skills who may need remediation or additional hands on training to pass additional welding certification tests for employment. The goal of this project is direct placement with the designated employer partner or other employers with a demand for qualified welders. The Port Arthur EDC will match the Texas Workforce Commission in an amount of $75,000 to offset the cost to Team Fabricators to set up the training program. PAEDC will also reimburse Team Fabricators for employee wages while in training up to $6,500 per trainee through the Community Pre-Employment Program. 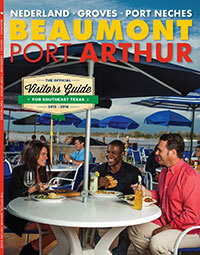 There is plenty to do in Port Arthur and the surrounding areas. 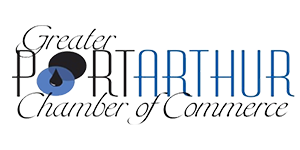 Click the following link to visit the Port Arthur Convention and Visitors Bureau to get your copy of the newest visitors guide.